Telluride Blues & Brews Festival first started in 1994 as the “Telluride Brewers Festival” with 18 breweries showcasing their best suds on Main Street in Telluride. 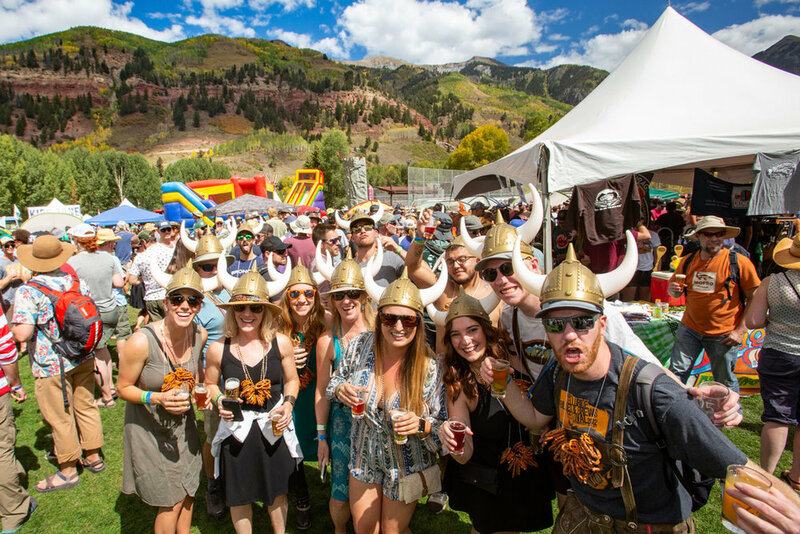 Fast forward 26 years later and the festival has grown to 56 breweries with over 170 different styles of beer and cider on display in Telluride Town Park. Remaining true to our roots, the festival continues to grow and support local and regional craftsmanship in the craft beer industry. 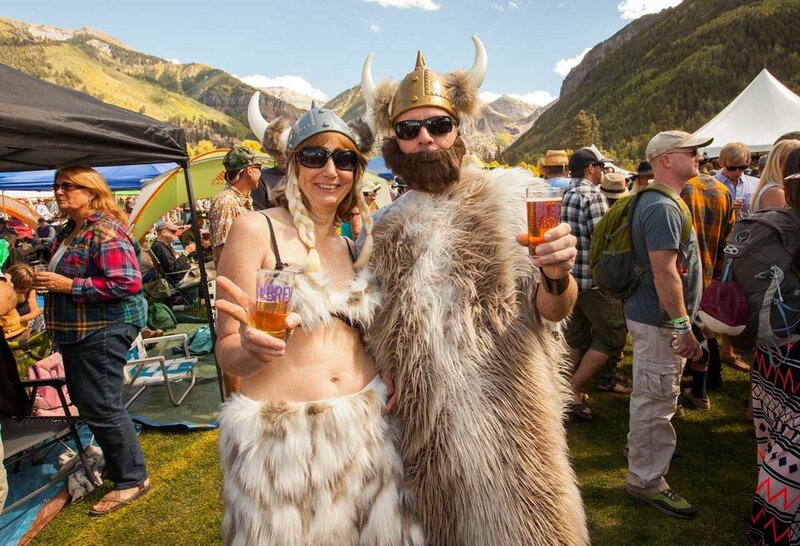 Sierra Nevada Brewing Co. is proud to be the official craft beer partner of the Telluride Blues & Brews Festival and salutes the festival's efforts to fight global warming. As environmental leaders in the brewing industry, Sierra Nevada is proud to work with responsible partners who share our sustainability goals. 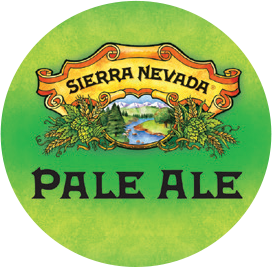 Be sure to check out Sierra Nevada featuring seven different flavors on tap all weekend in addition to exclusive styles at the Grand Tasting, House of Brews and High Altitude Craft Beer Lounge! ABV: 5.4% IBU: 39 - Back Porch Lager was created by the Blues & Brews staff at a unique ‘one-of-a-kind’ Beer Camp weekend, this lager is available exclusively at the festival. ABV: 4.8% IBU: 33 - Just an unfussy, uncomplicated hoppy golden ale brewed to fit in no matter where it goes. This isn’t beer for collecting, this is beer for drinking. ABV: 6.7% IBU: 40 - This is hazy with modest bitterness and intense hop character. Making an unfiltered hop bomb may seem crazy, but to us, it’s a hazy little thing called IPA. ABV: 4.8% IBU: 15 - Inspired by traditional Bavarian techniques. With a full, fruity aroma and notes of spicy clove and banana bread, Kellerweis is a truly unique brew. ABV: 5.2% IBU: 38 - Nooner’s brilliant golden color begs you to take a sip and sink your taste buds into an extremely welcoming beer, full of flavor and balanced by a crisp, dry finish. ABV: 5.6% IBU: 38 - Pale Ale’s unique piney and grapefruit aromas from the use of whole-cone American hops have fascinated beer drinkers for decades. 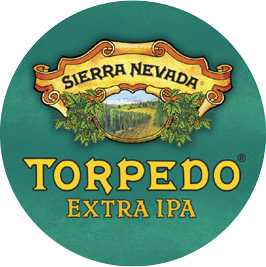 ABV: 7.2% IBU: 65 - Torpedo Extra IPA, featuring our “Hop Torpedo,” is an aggressive yet balanced beer with massive hop aromas of citrus, pine, and tropical fruit. Sierra Nevada Brewing Company and Colorado Yurt Company are proud to present the High Altitude Lounge Craft Beer Lounge! Throughout the festival, the lounge will give attendees a chance to try rare creations and interact with the folks from the brewery in a unique atmosphere. During the festival Sierra Nevada will unveil rare and sought after craft beers. Many of these beers are only available at the brewery, special events or have spent time aging deep in the brewery’s vaults. Last year’s selection of beers included Tumbler Autumn Brown Ale, Ruthless Rye IPA, Hop Bullet Double IPA, Narwhal Imperial Stout, and Zappa Wild Stache. Listen up, this year’s selection of rare beers will be unveiled from the stage in between sets each day of the festival. Once each keg is tapped, the specialty beer will be available until it’s out, don’t miss out! The High Altitude Lounge features a special hangout area inside and around a Colorado Yurt Company yurt. The area will feature furniture from Kelty, Sierra Nevada swag and give you a chance to chat with folks from the brewery. Grab a special beer, kick your feet up and enjoy the festival from the comfort of a Colorado Yurt Company yurt at the Lounge. Along with Sierra Nevada Brewing Co., the House of Brews features 5 additional breweries and cideries with different flavors being poured throughout the entire weekend. Stay tuned for the complete list of 2019 attending breweries and beer styles soon! Join us to celebrate our Grand Tasting on Saturday, September 14 from 12:00 pm to 3:00 pm where 56 craft breweries participate with over 170 styles of beer and cider. Cheers! If you haven’t experienced the Grand Tasting yet, you're definitely missing out! As you walk into the beautiful Telluride Town Park Festival Grounds you’re handed a special souvenir tasting glass. This tasting glass is your vessel to sample some of the best craft beer in the world. From easy-drinking lagers, to fruity sours and hazy IPAs, the variety of beer styles are endless, while costumes, high-fives, smiles and massive crowd-wide cheers are all frequent. After you’ve tried as many beers as you like, it's time to vote for your favorite brewery. When the Tasting is over, the most popular brewery is crowned "Best of Fest" and awarded a trophy on stage. Last year’s champion and hometown favorites, Marble Brewing Company, will be back this year to defend their title! Stay tuned for the complete list of beer styles coming soon! These 56 breweries will pour over 170 styles of beer and cider on Saturday, September 14 from Noon to 3 pm. Cheers!